Improving Posture for Singers: It’s important for singers to work on improving posture as it can directly affect their vocal. Improving posture helps to improve your control and provides your voice with optimum conditions for reaching its potential. 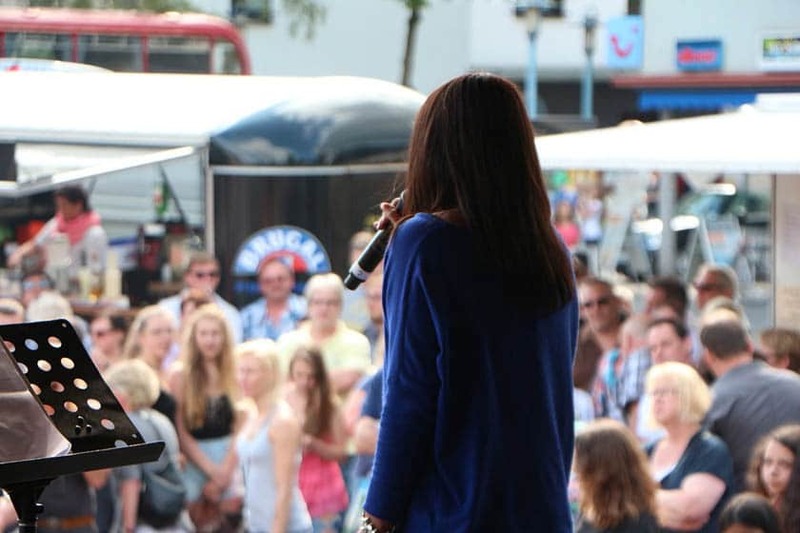 There are many simple ways to work on improving posture whilst singing and with enough practise and attention these things are likely to become second nature to you. Your chest should be high, imagine a piece of string being attached to your chest and being pulled towards the ceiling. One of the most effective ways of improving posture is by investing in a yoga ball. It’s very difficult to sit on a yoga ball with poor posture. Yoga balls are great for posture as they help to improve your spinal posture and can in time help to elongate the neck. There are many exercises you can do to help when improving posture. A good exercise to help sense whether your posture is improving is by standing with your back against the wall. After a minute or two, move slowly away from the wall and adjust your posture to a more comfortable position, avoiding slumping. This is a good exercise to do regularly as you’ll be able to feel the difference in your posture once you’ve moved away and your stance is more natural.